It is high time for human beings to take the ‘right’ action towards saving the earth from major environmental issues. If ignored today, these ill effects are sure to curb human existence in the near future. Our planet earth has a natural environment, known as ‘Ecosystem’ which includes all humans, plant life, mountains, glaciers, atmosphere, rocks, soils, massive oceans and seas. It also includes natural resources such as water, electric charge, fire, magnetism, air and climate. Engineering developments are resulting in resource depletion and environmental destruction. Modern technologies used in the engineering and manufacturing industry have a major impact on our life in past few decades. Due to the rapid changes in the engineering and manufacturing industry there have been drastic changes in the environment. Engineering and manufacturing industry have increased the use of materials like metals, plastic, oil and rubber. These are used in the production of numerous end products which can be associated with different industries such as car production units, shipping industries, cotton mills, plastics industries, coal mining, heavy machineries and etc which are causing numerous arduous effects and are considered to be non-environment friendly. Crucial environmental issues are no more a blame game. While most of us crib about dirty air, smelly garbage or polluted water, least do we know it is “us” who is responsible for this unfavorable circumstances leading to cautionary environmental issues. 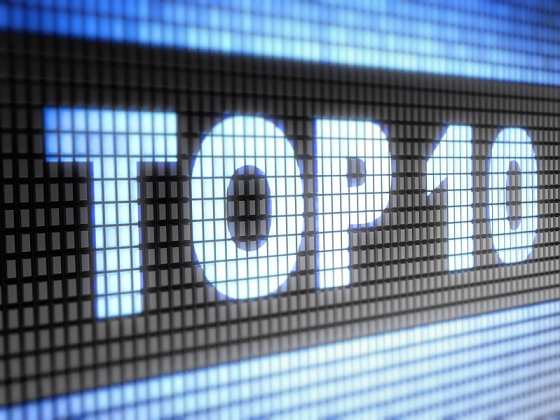 Here are 10 significant current environmental issues, where human beings play an important role in their rise. More than half of the human population knows what is pollution, but we are still not ready to face its damaging consequences. 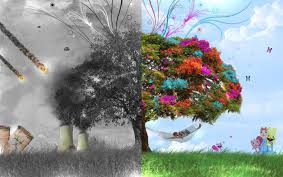 Pollution is not only limited to water, soil and noise but has extended to light, visual, point and non-point sources. Human beings and their actions are majorly responsible for causing all types of pollution. Water pollution is essentially caused by oil spills, urban runoff and ocean dumping. Air pollution rises from burning of fossil fuels, hydraulic fracturing and gases emitted by vehicles. Water and soil pollution are majorly caused from industrial waste. Climate change today is less of a natural process. It is rapidly occurring due to the ill effects of human actions responsible for disturbing and harmful out comings such as global warming, greenhouse effect, urban heat, coal industry etc. Climate change is not only changing the overall weather scenario, but has larger and harmful effects. Some of these include: melting of polar regions, occurrence of new diseases and permanent inhibition in growth of certain plants essential for human survival. 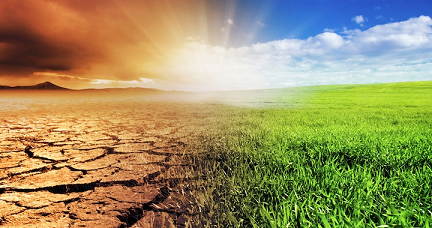 Global warming is another environmental issue which is increased in earth’s temperature due to effect of greenhouse gases called carbon dioxide, methane, water vapor and other gases. These gases possess heat trapping capacity that is needed to create greenhouse effect so that this planet remains warm for people to survive. Without these gases, this planet would turn be cold for life to exist. During past several decades, the accumulation of greenhouse gases have grown rapidly, which means more heat gets trapped in the atmosphere and few of these gases escapes back into the space. These gases heat up the earth’s surface and this results in global warming. According to recent reports, the earth’s temperature has increased by 0.8 degrees Celsius over the past century. 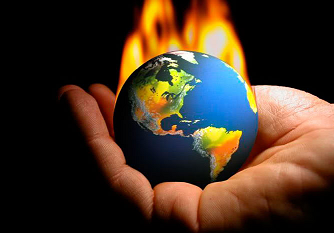 Global warming is a serious public health and environmental concern. Global warming can have long lasting effects which can result in melting of glaciers, climate change, droughts, diseases and increase in hurricanes frequency. With population growing at a rapid pace, the demand for food, shelter and cloth has almost tripled in last few decades. To overcome growing demand, a direct action that we have come to recognize as “Deforestation” occurs. Deforestation means clearing of forests or green cover for means of agriculture, industrial or urban use. It involves permanent end of forest cover to make that land available for residential, commercial or industrial purpose. According to the United Nations Food and Agriculture Organization (FAO), an estimated 18 million acres (7.3 million hectares) of forest are lost each year. 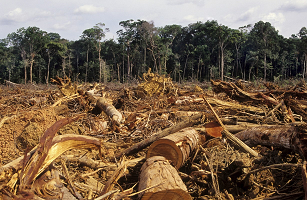 The long term effects of deforestation can be severely devastating and alarming as they may cause floods, soil erosion, increase in global warming, climate imbalance, wildlife extinction and other serious environmental issues. This is a never-ending human tragedy which is responsible for causing all types of environmental issues. 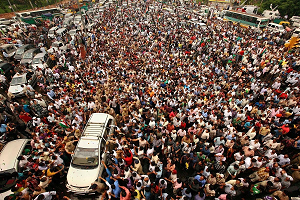 Water pollution, resources crisis, gender imbalance, pollution, land pollution, urban sprawling, deforestation, desertification are some common examples of dangerous effects caused by overpopulation. Despite efforts taken by the governments in terms of family planning in many countries, over population is difficult to control at international level. This has become more like a subjective concern and no method seems to be 100% efficient to resolve this problem. At present, tons of garbage is produced by each household each year. In the developed countries the recyclable items are sent to local recycling units while other items become part of the landfills or sent to the developing countries. In the developing countries most used items become trash and are dumped on the soil or into water. Due to increase in demand for food, shelter and housing, more goods are produced. This results in creation of more waste that needs to be disposed of. Most waste is buried underground in landfill sites or dumped on the soil. 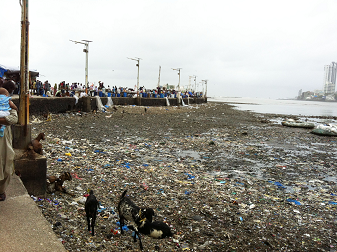 The presence of huge garbage across the cities poses serious environmental concerns. It affects human health, degrades soil quality, effects wildlife, causes air pollution and results in climate change. 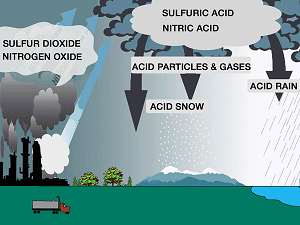 Acid rain simply means rain that is acidic in nature due to the presence of certain pollutants in the atmosphere. These pollutants come in the atmosphere due to automobile emissions or industrial processes. Acid rain can occur in form of rain, snow, fog or dry material that settle to earth. Acid rain may cause due to erupting volcanoes, rotting vegetation and sea sprays that produce sulfur dioxide and fires, bacterial decomposition and lightening generate nitrogen dioxide. Acid rain can also be caused due to other man-made sources which include combustion of fossil fuels which release sulfur dioxide and nitrogen oxides into the atmosphere. Acid rain can have devastating effects on aquatic life, forests, public health, architecture and buildings. Ozone layer is a layer of gas that sits 25-30 km above earth’s surface. It mainly contains ozone which is a naturally occurring molecule containing three oxygen atoms. This layer is present in the stratosphere and prevents too many harmful UV (ultra violet) radiations from entering the earth. 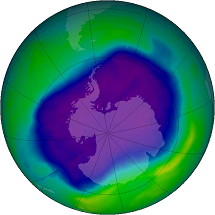 Ozone layer is capable of absorbing 97-99% of the harmful ultraviolet radiations that are emitted by sun. However, during last several decades, human and industrial activity has contributed a lot which has resulted in considerable reduction in the ozone layer of the atmosphere. The main cause of depletion of ozone layer is determined as excessive release of chlorine and bromine from man-made compounds such as chlorofluorocarbons (CFCs). CFCs (chlorofluorocarbons), halons, CH3CCl3 (Methyl chloroform), CCl4 (Carbon tetrachloride), HCFCs (hydro-chlorofluorocarbons), hydrobromofluorocarbons and methyl bromide. These compounds are found to have direct impact on the depletion of the ozone layer. Genetic modification of food, human and animal organs seems like the gem of science and technology but this has major harmful effects. Biotechnology is an impressive technology but limiting its use is the need of the hour. 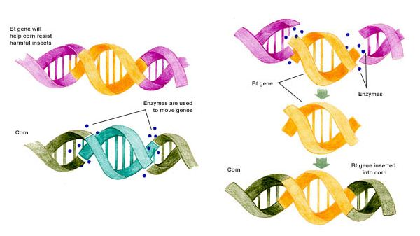 Genetic engineering is a controversial subject and has seen more ill impacts than the benefits it brings to mankind. Genetic pollution and alteration of food production not only have harmful effects on human beings, but are responsible for crucial concern known s as ‘genetic modification’. 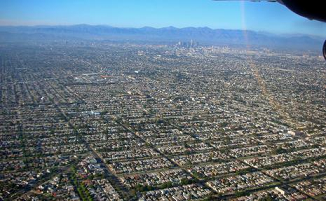 Not only India and China are classic examples of over population and urban sprawl leading to land degradation. Today almost all countries are using the land irresponsibly to meet the ever-growing demand of the greedy human wishes. The expansion of industrial areas has not only led to land degradation and soil pollution, but the habitat destruction is a terrible misery. Natural environment consisting of flora and fauna is indiscriminately destructed and lost completely instead of being replaced. This in the long run has harmful impact for human survival and causes serious environmental issue. Green Living Association suggests practical ways how individuals can play their productive role in saving our planet. GLA arranges colourful, interactive, innovative and charming educational activities to educate students and their families about Environmental Peace. Click on the above image to know how we can individually contribute in saving our beautiful planet.